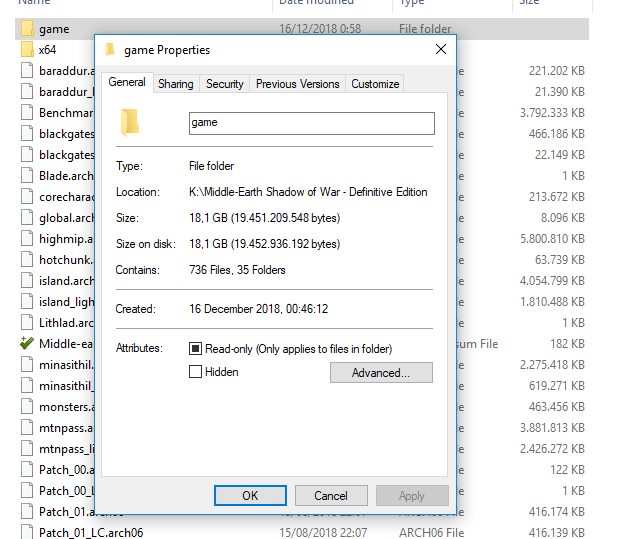 The "game" folder on dvd12 should be copied to install folder (this are just some 72 bytes files of the game. Compress on this files result in crc errors on installation. I'm not sure if the game runs without this files). Btw the won't run with the "tm"
None of my installers worked. I tried CIUV2 v2.0.3.9 U15.2 and CUIv3. one of my installers, install the game till 5.5% and then stuck. your installer worked for me and it took more than 5 hours to install, but the game didn't run. I found that the "™" mark in game directory address is the problem. 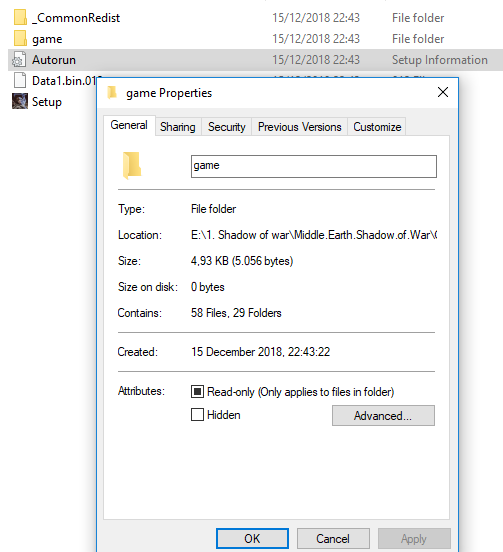 could you please make a fix and change "Middle-earth™ Shadow of War™ Definitive Edition" to "Middle-earth Shadow of War Definitive Edition"
Have you put the dll from game into ciu archive? yes I did. I used the proper version (vrsion 5 which is 914kb). I think I might use the wrong lolz to decompress. could you please send me the lolz file you have used or if its possible, send me the include folder. you know, after using CIUv3 I've got some errors in different games. I think the reason was that there is only one Diskspan with it (the one that you always use), but I use the other version, I tried to update its file to make it compatible with new CIUv3 (I mean som cls files and ini files specificly lolz compressor and decompressor and its ini). when I use the old diskspan and CIUv2 I have no problem. Thanks Kaktor for sending the files. I checked my folder and I had the *same files, except that I didn't have "oo2scan_7_win64.exe" and I thought it was to scan the files. anyway I put that in specified folder and also saw that setup.vsf is not deleted so I deleted it and did the project again. this time everything worked. Last edited by zirkhaki; 17-01-2019 at 08:26.